Sri Lankan curry powder is found in Indian and Sri Lankan grocers – in London, there are many in Wembley and Tooting. Or alternatively, you can make your own (recipe given below). Curry leaves, too, can be found in Asian grocers. This spicy, unusual dish is ideal for dinner parties. Serves 6. 1. 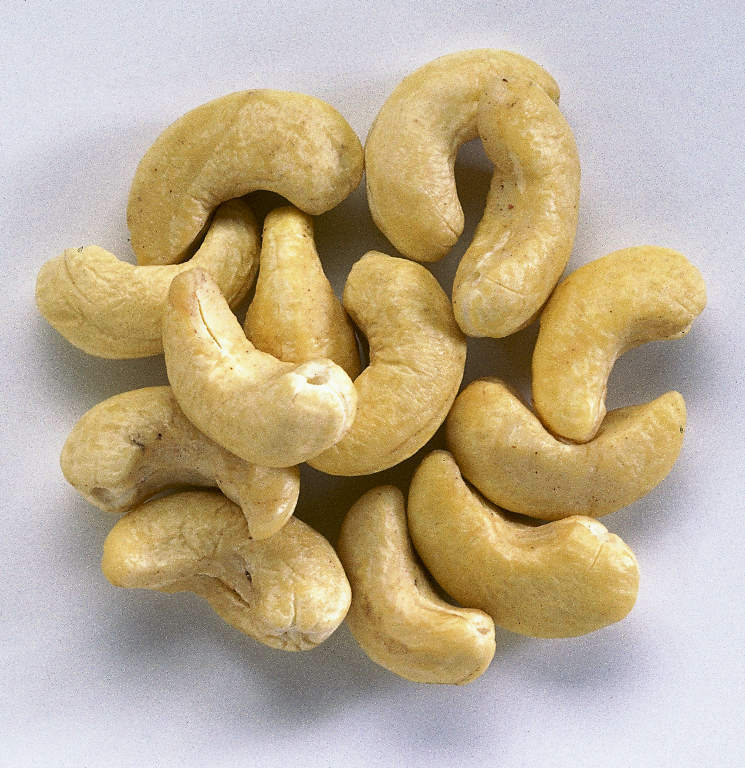 Drain the cashew nuts in a colander. 2. Heat the oil in a saucepan. Add the onions, curry leaves and cinnamon, and cook until they are a couple of shades darker. Add ginger, garlic, chillies and curry powder and cook gently for 2 – 3 minutes. 3. Add the cashewnuts and cook for 5 minutes, stirring occasionally. 4. Add half the coconut milk mixture together with the water, turmeric, salt, and peas. Bring to the boil and cook, covered, on low heat for 20 minutes until the cahewnuts are tender. 5. Take the lid off, add the remaining coconut milk mixture and simmer, uncovered, for another 10 minutes, stirring from time to time. Add the lime juice and coriander leaves. Serve with vegetable pilau rice.